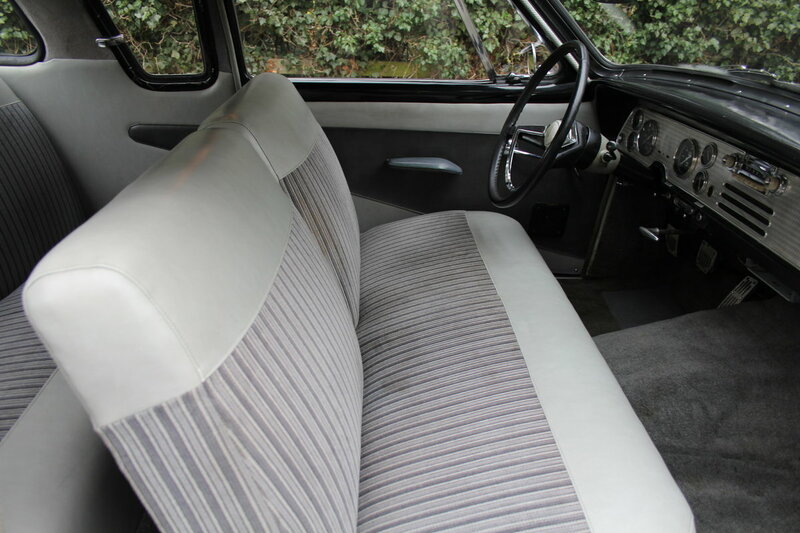 The Studebaker Silver Hawk’s marketing slogan was “Sleek lines of sports styling…… full room for the family” and it was described as having sportscar instrumentation, aircraft style toggle switches and spacious legroom. 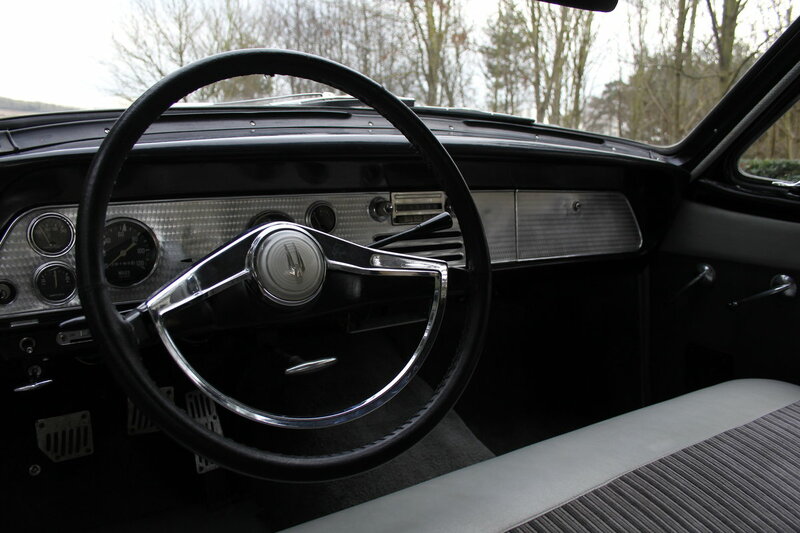 Studebaker claimed the driving experience was to be a new sensation with the ride as soft as a cotton boulevard, yet cornering expertly without sway, stopping without pitch or swoop due to the independent wheel suspension, lowered centre of gravity and the new and longer metrically mounted rear springs. It was stated as a Silver Hawk owner, you’ll have a car distinctively different….. a car just right for business, quick jaunts to the station and store… a car superb for family fun together on the open road, discovering the excitement and thrills of driving a car with all the elan and spirit of flight. 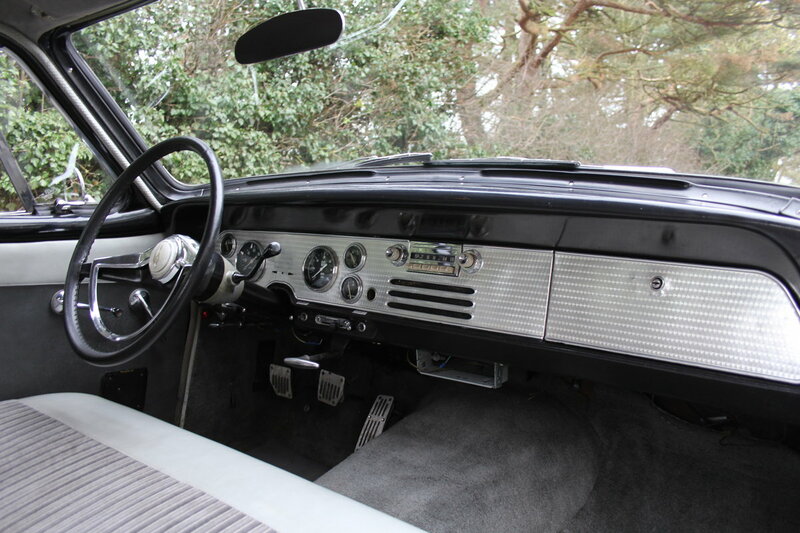 This beautiful example is a rare manual transmission Silver Hawk with automatic overdrive and is said to have spent its entire US life in California and its pleasing to report the excellent, strong original bodyshell fits with this. Paperwork with the car confirms a Long Beach Neurologist who graduated from the University of California Los Angeles School of Medicine owned the car for many years. 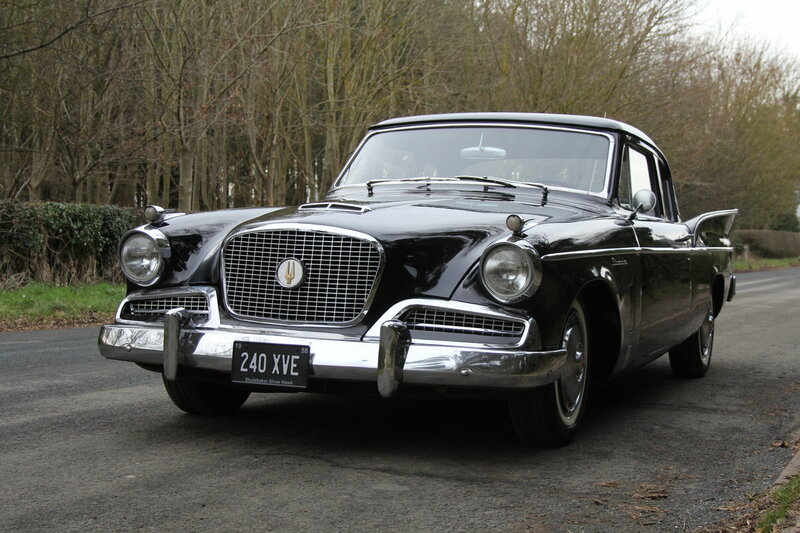 During the mid 1990's the Studebaker was shipped to Europe, arriving in Berlin, Germany and the Silver Hawk then spent over ten years in a museum. 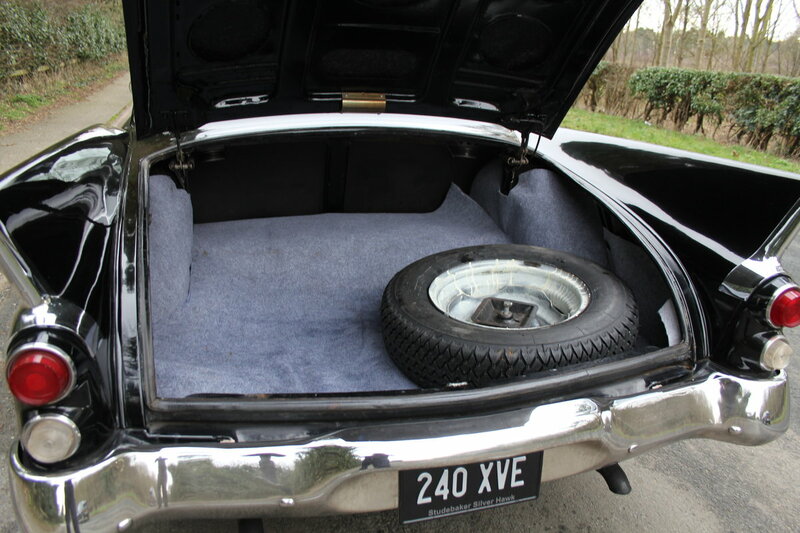 In 2010 the Silver Hawk V8 was displayed for sale at the Stuggart Retro Classic Show and the previous owner then purchased the car. Having spent several years on display, the Silver Hawk was serviced and prepared for the German TUV test and has been enjoyed and driven ever since. 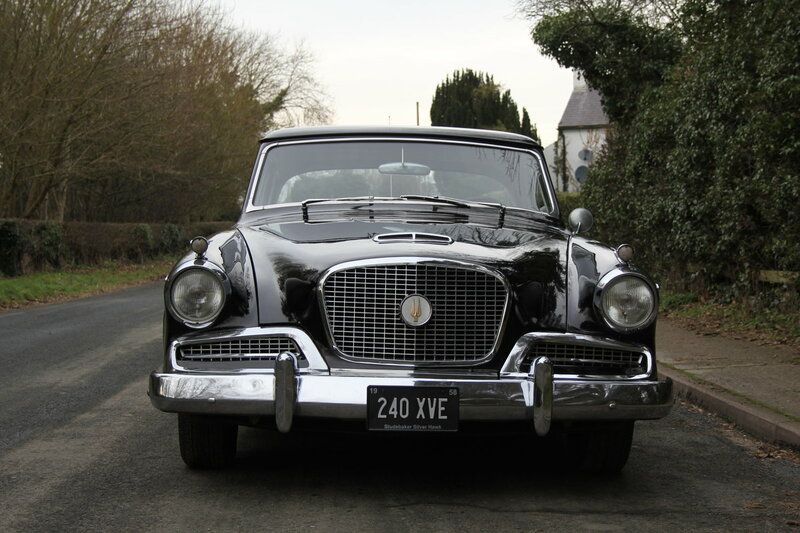 Prior to coming over to the UK and being registered in 2019, the Studebaker was treated to new headlamp reflectors, overhauled brakes, new distributor, rotor arm, vacuum advance unit, tyres and new battery. 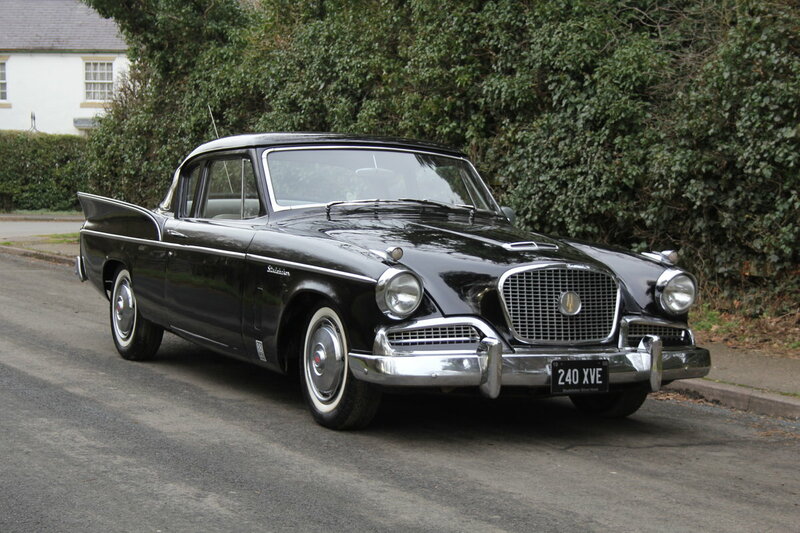 On arrival in the UK the Studebaker has been fully prepared with in the region of £5,000 spent on mechanical preparation. 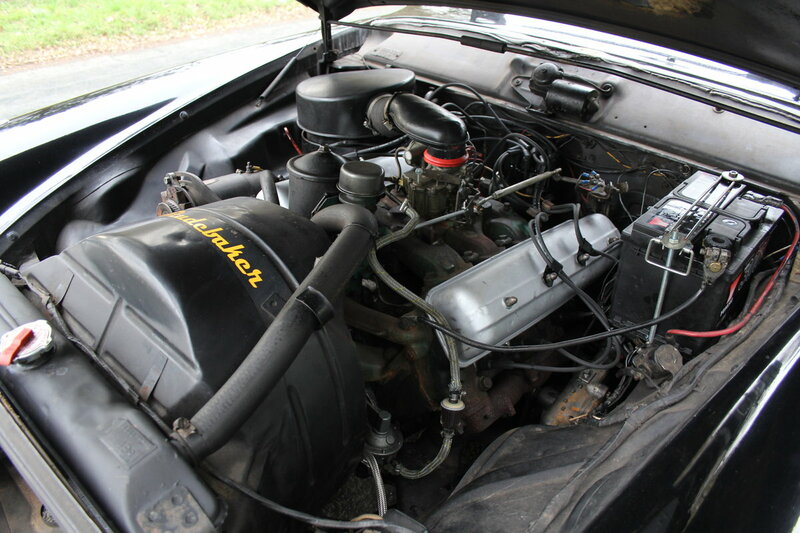 It has been treated to a re-conditioned radiator, rebuilt master cylinder, replaced cup seals in the wheel cylinders, new brake switch, rebuilt carburettor, rebuilt steering box, brand new front and rear shock absorbers, all new service items, replacement spare tyre and upon registration Black and Silver number plates fitted. 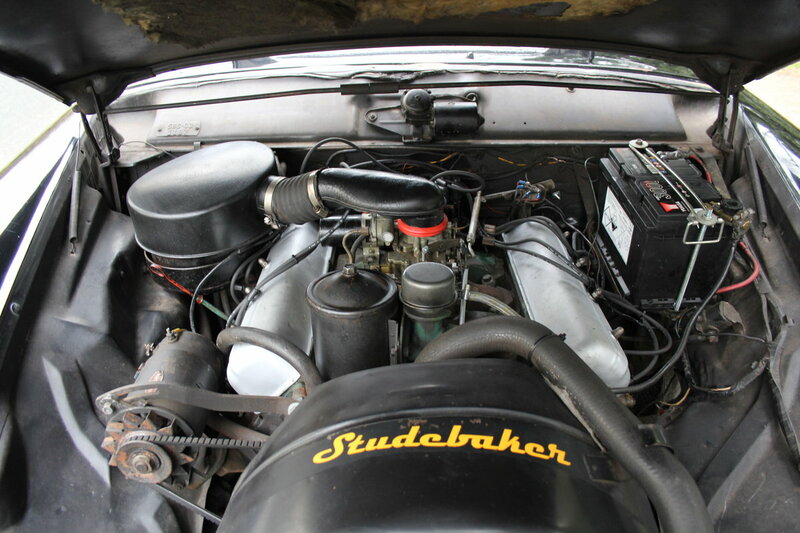 As result the Studebaker is now ready to be enjoyed on UK roads and it performs superbly with its strong, fit V8 engine benefitting from a recent service and carburettor rebuild. 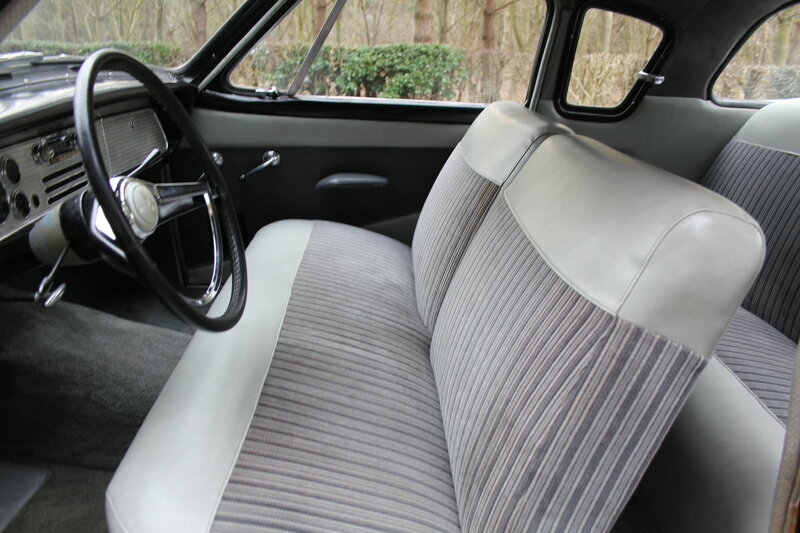 The manual with overdrive gearbox is excellent to use, steering is precise with its rebuilt steering box, the ride feels excellent with the benefit of its new shock absorbers and the Silver Hawk brakes well and pulls up straight. 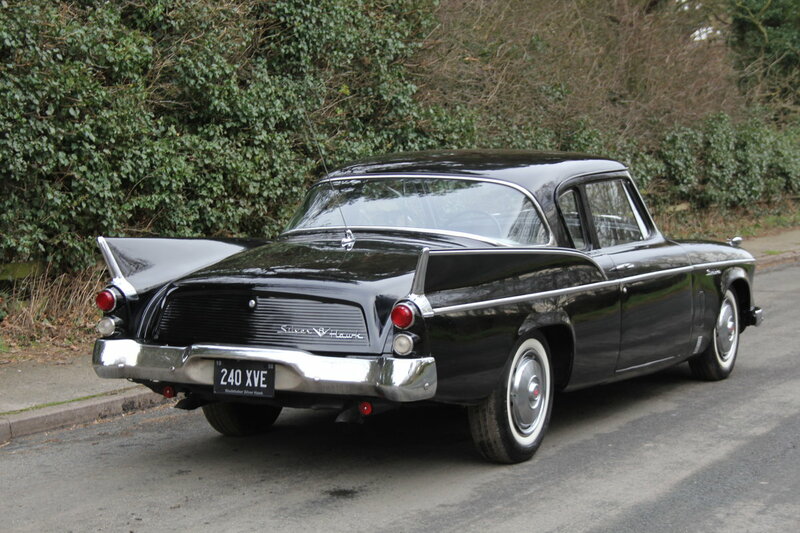 240 XVE presents well with nicely aged Midnight Black paintwork, a superb excellent straight bodyshell, bright chromework and a lovely clean upholstery that will not disappoint. This is very impressive looking car and its condition and performance match up to the striking presence. Our Silver Hawk comes with a good file of history that includes an original handbook, Californian paperwork and various invoices from its time in Germany.